Procurement, installation and commissioning of state-of-the-art Interactive Whiteboards for multiple classrooms in the high security education facility. Procure, install and commission multiple Interactive Whiteboards throughout the educational facility. Liaise with all customer stakeholders to ensure all relevant milestones and budgetary targets were satisfactorily delivered, including: procurement and delivery of equipment; co-ordinate and arrange access to each site, work closely with on-site staff to minimise disruption. Ensure compliance with all security requirements and Working With Children guidelines. Manage and provide all logistics and associated facilities for freighting, warehousing and staging the equipment for the duration of the project. 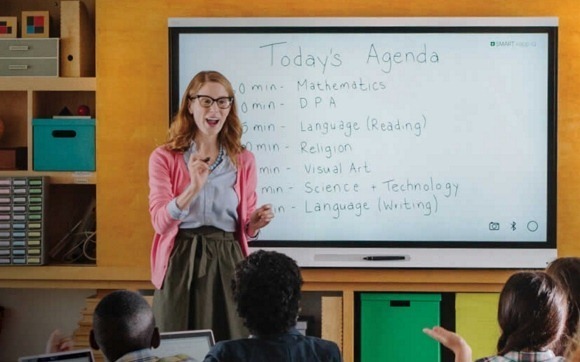 Test each new installation and provide end user training of the Interactive Whiteboard system. Provide fully updated As Built Documentation detailing all relevant components of the new system. Customer is very satisfied with the quality of the installation and the cleanliness achieved during the installation in occupied facilities. NTS always clean up as we go and maintain a very high standard of Work Health & Safety (WHS).